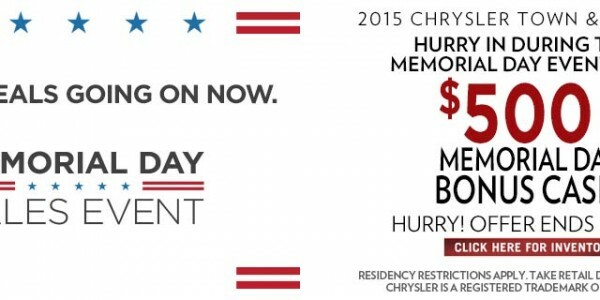 Chrysler Has Best June Sales Since 2006! June was an exceptional month for Chrysler. 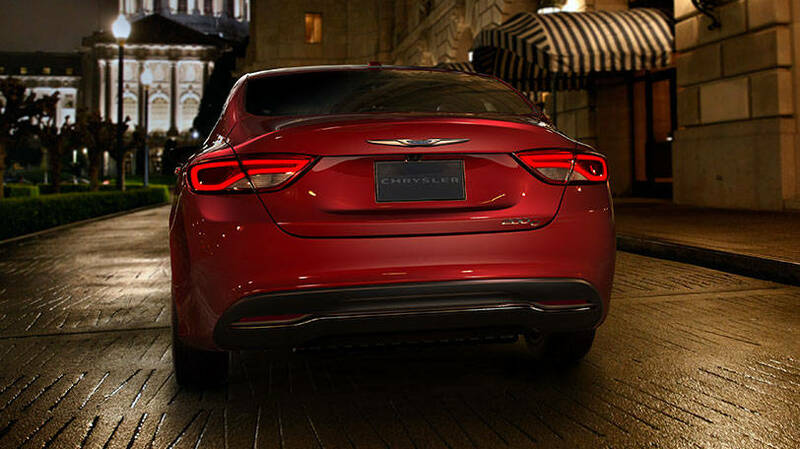 As has been consistent, the month showed that Chrysler has been growing strength with each passing month and this previous month is no difference. The month as a whole was the best June that FCA has had since 2006. The company experiences a 8% sales growth from the previous month with 185,035 vehicles going out the door in the whole month. Here is the break down on which vehicles helped the automaker maintain a positive sales increase and get that best June sales ever. Jeep has always been the strongest part of the whole FCA family. In June, the Jeep brand had their best June ever. They sold 71,529 vehicles as an increase of 25% from the previous month. The all-new Jeep Renegade maintained solid sales with 4,858 sold. Other winners of the month include the Dodge Journey which had its best month ever. 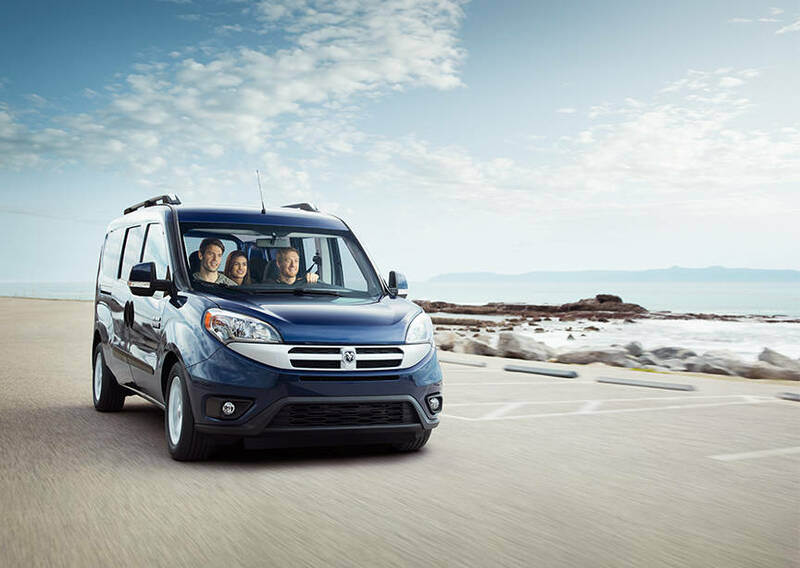 The Ram ProMaster is continuing to find its way into drivers and fleets. Overall, it was a month that showed there is still plenty of interest growing in Ram’s trucks and the minivan. 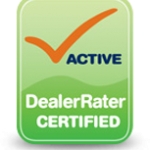 To get more auto news and special offers, be sure to like Bayside Chrysler Jeep Dodge on Facebook, following on Twitter, or subscribing on YouTube. 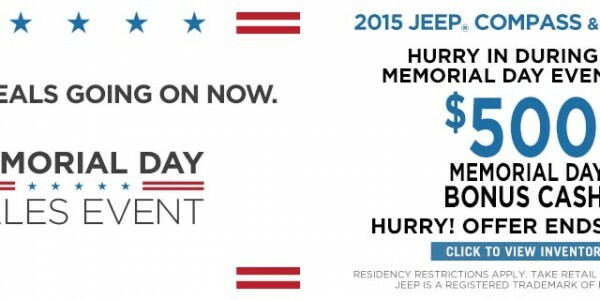 Get Ready for The 2015 Memorial Day Sales Event happening at Bayside Chrysler Jeep Dodge. 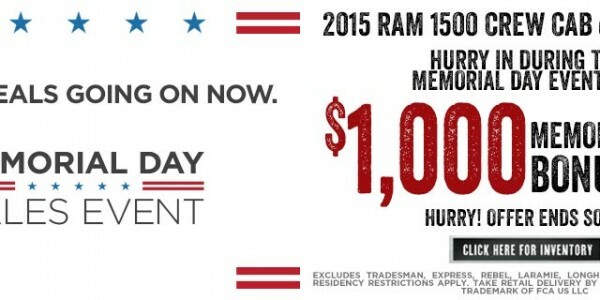 We’re offering $500 Memorial Day Bonus Cash on numerous 2015 models at the dealership. From the 2015 Chrysler Town & Country to the 2015 Jeep Compass. 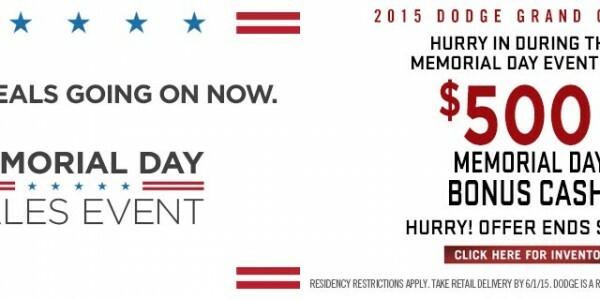 Contact us to get full details and restrictions on this sales event! Be sure to like Bayside Chrysler Jeep Dodge on Facebook and Google+, follow us on Twitter, and subscribe to our YouTube channel for more auto news and monthly specials.